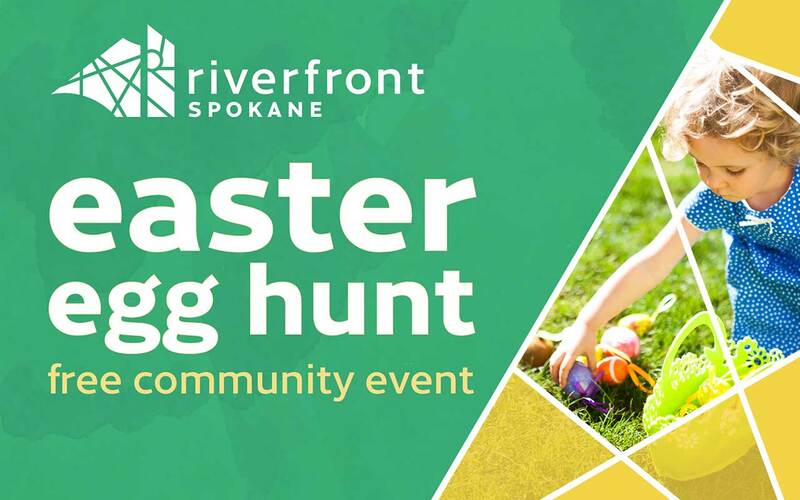 Riverfront Spokane will be hosting a Free Easter Egg Hunt for ages 12 and under in the Lilac Bowl starting at 10 a.m. on Saturday, April 20. Age groups for the Easter Egg Hunt will be: 0-3, 4-7, and 8-12. Join us after the Easter Egg Hunt for Brunch with the Easter Bunny at the Sky Ribbon Café located in the Numerica Skate Ribbon & SkyRide building. Brunch includes a free Looff Carrousel Ride and BOGO SkyRide admission.